KAMPALA – Employers have lashed out at institutions of learning for producing half-baked graduates who lack the required skills at work. According to the chairperson of the Federation of Uganda Employers, Dr Silver Mugisha, employers are finding it hard to employ graduates because they lack the right attitude to work. He was speaking on Friday while officiating at the 11th graduation ceremony for Uganda Technical College, Bushenyi. Dr Mugisha said a lot is lacking at higher institutions of learning in terms of training, adding this is a reason the Federation is now moving to forge partnerships with the institutions to train and churn out people already sharpened to meet employer demands. Dr Mugisha added apart from training, institutions leave out key things that employers want, including mindset, attitude and entrepreneurial spirit. “As you train these people, know that there are challenges, including changing their mindsets, to think the right way and doing the right thing. The problem of Ugandans is not money but people have no right mindsets,” said Dr Mugisha. He said attitude contributes 80 percent of what you have to achieve in life, noting it would rather be prudent to employ and train a person with a good attitude that employing someone already skilled but with a poor attitude who will be busy leading strikes, seeking attention, bragging and showing off. 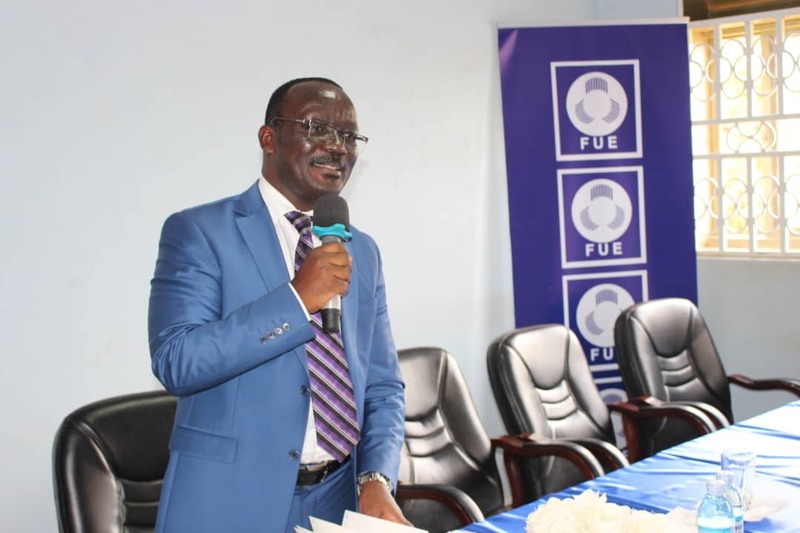 The Executive Director UBTEB, Mr Onesmus Oyesigye, said the partnership between institutions of learning and the employer’s federation is a very good idea, noting it would remain irrelevant to produce graduates that cannot suit the employer’s demands. “The employers’ input in training our students is very key because if we train and they are not satisfied with our products then it would be irrelevant. We will work with them to see the skills given out are relevant to the job market,” said Mr Oyesigye. The College principal, Mr Silver Mukwasibwe, said the new Technical, Vocational and Training (TVET) policy emphasizes a flexible, workplace-oriented environment delivery rather than a school system, and that it shifts TVET management from government to public/private partnerships. He said this policy will support the creation of employable and competencies relevant in the labour market instead of just warding certificates. A total of 683 students graduated with national and higher diplomas in several disciplines including civil, electrical, water, ceramics and mechanical engineering, and architecture.